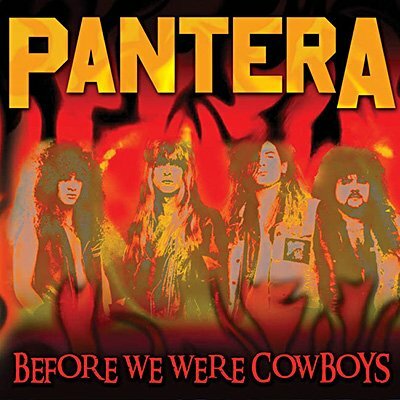 In the recent throng of a burgeoning Thrash metal scene, Pantera stood poised on the edge of their Pantego, Texas neighbourhood and on the verge of something bigger. After three glam-metal self-financed albums, the band had recently acquired their new singer Phil Anselmo to take the reigns from Terry Glaze. Their appearance at The Basement in Dallas, Texas announces their new album Power Metal with a glimpse of their acclaimed 1990 album Cowboys From Hell. Pantera were well and truly on the way to rivalling thrash acts such as Metallica and Slayer and it's here that they deploy all the swagger and menace that delights the Elektra A&R man Derek Schulman, a deal that ultimately breaks them nationally. Orbit proudly presents the entire FM broadcast of Pantera's performance at The Basement Club in Dallas, Texas on 20th December 1988.